Wednesday Morning: Scramble and Fixtures - affiliated visitors welcome, Tee off at 8:30am. Vets 1st Friday of the month from February to December (except during another tournament). Quads February, June and October 2nd Thursday of the month (Waipu, Wellsford, Mangawhai. and Warkworth). Northland Vets 3rd Thursday of the month. On Friday nights during daylight saving, except over the Christmas holiday period. Teams of 4. Stableford competition over 9 holes. Tee off between 4pm and 6 pm. Meals available at Tee Cafe and bar is open. Visitors and casual golfers are most welcome – you don’t need to be in a team to play. 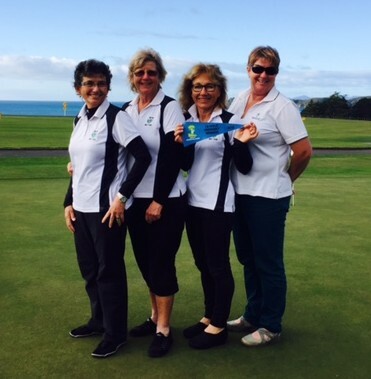 If you wish to be added to the Twilight email list please email us at waipu@golf.co.nz. 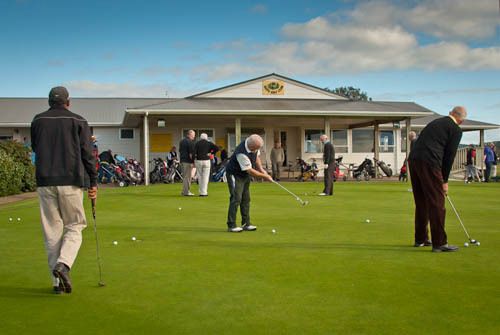 At Waipu Golf Club we have a strong strategy for developing junior golf. Kylie Jacoby runs Monday afternoon sessions during the school term. Contact Kylie for more information, phone 4320661 or 021 02693876. Join up your junior now School Student (NZ) Year 1-8 $76, Year 9-13 $114, or contact us about our Family membership. Junior Purple Course: The purple course is a short course for everyone but mainly for juniors and beginners.